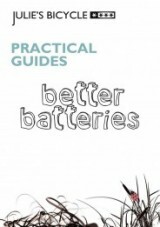 A practical guide to using and recycling rechargeable battery systems for music and theatre organisations. A practical guide to using and recycling rechargeable battery systems for music and theatre organisations. A Pinterest board hosted by the Broadway Green Alliance filled with recycling ideas, crafts and tips. The ISAN Environment Sustainability Toolkit was commissioned by ISAN and authored by Julie’s Bicycle, with support from Arts Council England. The Toolkit focuses on practical achievable measures and highlights examples of good practice from case studies covering a range of presentation platforms, generic processes and contexts. 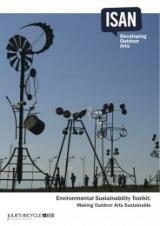 It contains good practice guidelines, resource information, a glossary of terms and useful contacts to facilitate the creation of environmentally sustainable outdoor art.The ISAN Environment Sustainability Toolkit was commissioned by ISAN and authored by Julie’s Bicycle, with support from Arts Council England. The Toolkit focuses on practical achievable measures and highlights examples of good practice from case studies covering a range of presentation platforms, generic processes and contexts. It contains good practice guidelines, resource information, a glossary of terms and useful contacts to facilitate the creation of environmentally sustainable outdoor art. 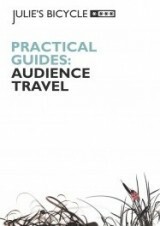 "Audience travel is the single greatest contributor to the carbon footprint of the arts. While not directly under the control of venues and companies, it is crucial that you exercise the influence that you have over audiences to inform them of the environmental benefits of travelling green, and provide sustainable travel options for them to attend your event. This guide is designed to help you on your way! 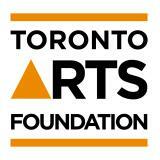 ""Audience travel is the single greatest contributor to the carbon footprint of the arts. While not directly under the control of venues and companies, it is crucial that you exercise the influence that you have over audiences to inform them of the environmental benefits of travelling green, and provide sustainable travel options for them to attend your event. This guide is designed to help you on your way!" "The British Columbia Electronics Materials Exchange (BC-EMEX) lets you sell, give away or trade things you don’t want with people who do, like an online garage sale. There’s lots of free stuff available, plus it’s good for the environment. You can also post requests for items that you need." "In order to decorate and maintain ethical values at the same time, the conscientious consumer is very naturally turning towards recycled paint. With a range of trendy colors inspired by nature, the Boomerang brand offers reclaimed products made from unused portions of recovered domestic paint and stain remains. ""In order to decorate and maintain ethical values at the same time, the conscientious consumer is very naturally turning towards recycled paint. With a range of trendy colors inspired by nature, the Boomerang brand offers reclaimed products made from unused portions of recovered domestic paint and stain remains."